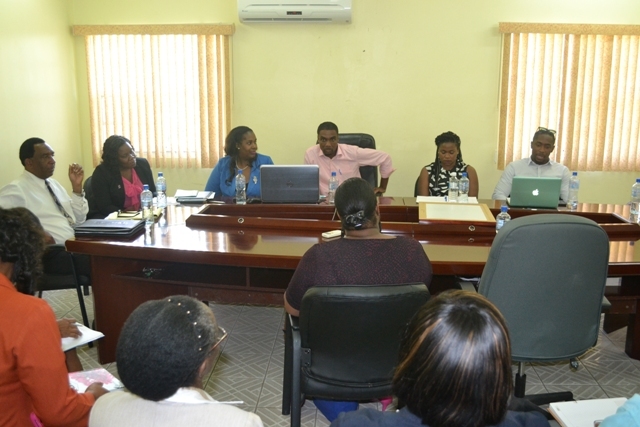 NIA CHARLESTOWN NEVIS (APRIL 06, 2016) — A group of seven representatives from the Ministry of International Trade, Industry, Commerce and Consumer Affairs in St. Kitts met with their counterparts and other senior officials in the Nevis Island Administration (NIA) in Nevis at the Ministry of Finance conference room on April 05, 2016, in an effort to develop a closer working relationship. 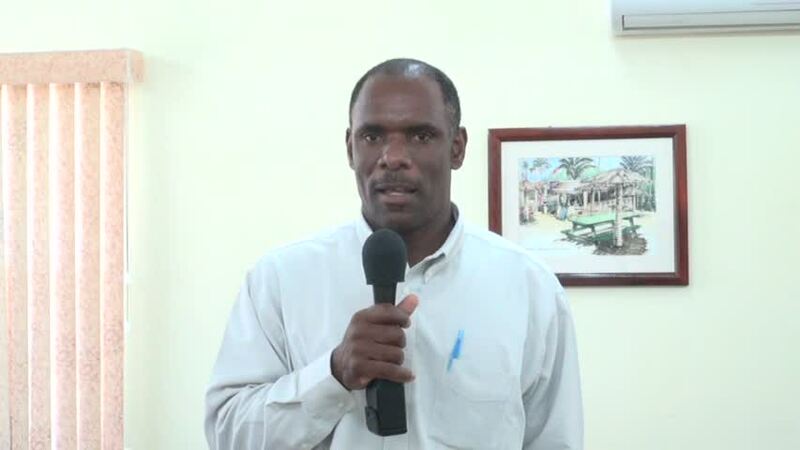 Permanent Secretary in the Ministry of Finance in the NIA Colin Dore, told the Department of Information that the meeting was fruitful and beneficial. He said it also form part of ongoing discussions which they plan hold at both the government level and the wider public over the coming months. One area which was discussed was related to the Caribbean Community (CARICOM) which the Permanent Secretary said received much attention. “We focused on a number of issues especially the issue of CARICOM free movement, the developing of the CARICOM Skills Certificate and how do we apply for it and the implications for individual and also the economy on a wider scale,” he stated. According to Dore, the matter of the Bureau of Standards as it relates to the production of items for local consumption was also discussed in light of the growing production of dry goods and drinks. He said going forward greater emphasis would be placed in that area because it is important for them to be able to bring to the attention of the consumer what they are purchasing and of what items are made. 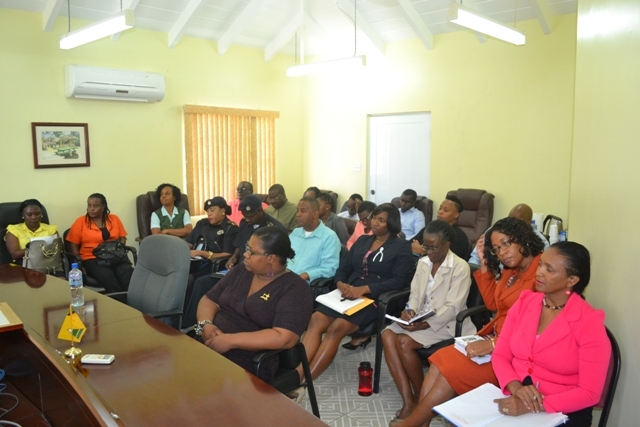 The areas of trade in both islands and product labelling were also discussed, according to Dore, because of the influx of consumer items that are available for sale with their labels in foreign languages. He disclosed that over the next month, they hoped to take that matter to the business community for discussion and to various groups and persons. “We need to sensitise the business owners as well of the need to respond to the requirements of the Trade and Consumer Affairs Department, so that in the end, we can produce an item to the public which is consumerable and the public feels confident that they can consume these items without any risk or harm attached to them,” he said. Mrs. Jasmine Warner-Weekes Director of Trade Research in the Ministry of Trade in St. Kitts, Director of Industry and Commerce Philip Brown, Mrs. Lyndis Harris, Secretary for the Caribbean Single Market and Economy Skills Certificate Board, Nyanya Browne Trade Policy Officer and Director of the Bureau of Standards Hiram Williams were among those present. Participants were drawn from various sections in Trade: Consumer Affairs, Bureau of Standard and Trade and Industry Development.